Hello! I’m Yvette Hardy, Style Ambassador for Pacific Fair, and self-confessed shopaholic! So it’s no surprise that Christmas is one of my favorite times of the year. It’s a time for giving, and sharing special moments with the ones you love most. And lets not forget about the food, all that wonderful food! I personally love the whole Christmas shopping experience, but I know it can be a daunting task if you have a partner who’s hard to buy for or if your just not sure where to start? This year, I have done all the legwork for you. I’ve put together a list of my favorite luxury items to help take the stress out of your Christmas shop. So read on if your looking for that something a little EXTRA special for the ones you love. 1. The Bvlgari tri colour B.Zero ring has made it to the top of my luxury-gifting list this year because of its versatility. I chose this particular style because of the combination of Rose, yellow and White gold, and unisex design. It makes it the perfect gift for that person in your life no matter what age, gender or jewelry metal preference. 2. One of the best parts about Christmas in Australia is that it’s in the middle of summer, don’t you agree? And, who doesn’t love a stylish beach bag for those summer days? I chose this tote from Prada not only for it’s clear PVC design (which is on trend this season), but you can also access all your goodies at a glance. 3. Now, I know the boys can sometimes be extremely hard to buy for, so why not give him the gift of mind blowing sound! The Master and Dynamic headphones available from Harrolds, are the perfect fusion of style and function. I especially love the leather detailing. 4. In our digital age you cant go wrong with a stylish briefcase/computer bag from Thom Brown. The quality leather and minimal detailing is a great option for that hard to buy for’ man who has everything. 5. For the Ladies, a new purse is always a welcome addition to her style arsenal! I think this tartan design from Balenciaga will add just enough edge to just about any outfit. The new double B clasp design and size make it a great piece for day or night. 6. Now what would a gifting guide be without this years ‘it’ belt from Gucci? The oversized GG buckle and smooth leather make it a cute little stocking stuffer for him or her. 7. I love fragrance in my home, and I have fallen in love with these new fragrant candles from Gucci’s new home ware collection. Each hand painted design is a work of art in itself and will add a beautiful ambiance to any space. 8. If jewelry is more your style, I’ve selected the new ball & chain gold necklace from Tiffany & Co. I love the edgier design of this piece, but the best part is it can also convert to a bracelet! Hooray, two gifts in one! 9. The one thing I rarely leave home without is a printed scarf. This Bally one will be one of the most precious gifts you will give as there are just so many ways to wear it. No longer just for your neck, you can tie it up in your hair or around your ponytail for those warm summer nights. I sometimes use mine rolled as an alternative to a belt and you can even add it to your handbag for a little extra decoration! The possibilities are endless. 10. I’ve been ‘eyeing’ off these incredible ‘Shadow’ sunglasses from Celine (ha ha did you see what I did there)? These babies have been seen on everyone from Kim Kardashian to Victoria Beckham, they just ooze sophistication. I’ll be asking Santa for these this year. 11. Luxurious skin care is another gift I love to give my loved one’s as it’s something they can use everyday and see actual results from. I gifted my Mother one of the beautiful cleansers from the La Mer range at David Jones last year and she still uses it. This holiday season, the brand has come out with ‘The introductory collection’, a box set of their most loved products in trial sizes. It’s perfect for the person who likes to try before committing to full size products. 12. Do you have an entertainer to buy for? Georg Jensen has the most luxurious Martini set complete with ice bucket, shaker and tray. This is a set worth putting of display and will become a real conversation starter at any party! I personally love the ‘Mad Men’ vibes. Espresso Martini anyone? 13. When only the best will do, Rolex has the most exquisite range of timepieces for men and women. One of my favorite styles is the iconic ‘Date Just’ series. Available in solid gold, stainless steel or a mixture of both and a range of dial options, it’s a truly customizable gift that will stand the test of time. 14. Anyone who knows me, know I never leave home without my Louis Vuitton Monogram shawl. Like the printed scarf, this is a truly versatile piece for any woman’s wardrobe. It’s especially handy in those trans seasonal months of warm days and cool nights. Choose one in a neutral tone so she’ll get the most wear from it. 15. If there were one item I would suggest every woman invest in it would be a camel coloured coat. This piece will be the workhorse for many winters to come. I especially love the ones from Max Mara. With a wide range of fabrics like pure cashmere to camel to choose from it will be a gift she will keep close to her heart. 16. For the Dapper gent, a silver money clip from Tiffany & Co will keep his cash right where he needs it. For that extra special touch why not have it engraved? 17. Another brand I love at the moment is Furla. I chose the solid back ‘Metropolis’ bag with its signature metal clasp for this guide, but these are anything but basic. They come in a wide rang of colours if your after something with a little more oomph! I Especially love the stitch detailing. 18. Last but not least who can go past a fresh new pair of white kicks? 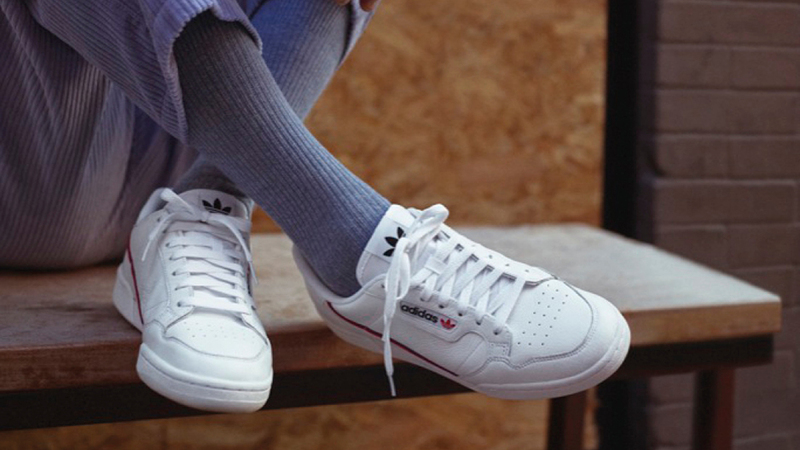 White chunky sneakers are super on trend right now and they literally go with everything! This is an item worth picking up for yourself as well as your loved one. #twinning! So that’s Christmas all wrapped up! Thank you for checking our my luxury gifting guide, I hope I’ve been able to provide you with the inspo you need to find that perfect gift for your special loved one, (or yourself wink wink)… Now stop reading, and happy shopping!